Honourable the Chief Justice of India, Honourable Mr. Justice T.S. 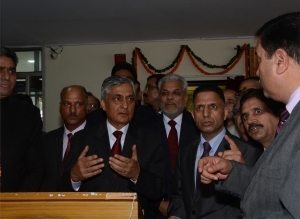 Thakur in the august presence of Honourable Mr. Justice Mansoor Ahmad Mir, the Chief Justice and Honourable Judges of High Court of Himachal Pradesh, inaugurated the Mobile App on High Court PMIS (Personal Management Information System), Web-based Grievance Redressal and Suggestions Mechanism for H.P. Judiciary and the e-Court Fee System in High Court of H.P. on 19th of August 2016 in the HP High Court premises. 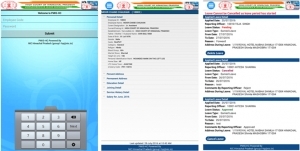 The Mobile App on High Court PMIS (Personal Management Information System) provides unique facility of accessing service particulars including details of salary by the employees of High Court of Himachal Pradesh and the Judicial Officers in the State of Himachal Pradesh on the Android based Smart phones. There is also provision of making applications for leave by using this Mobile App by the Judicial Officers and employees of the High Court of Himachal Pradesh. This Mobile App has also features of acceptance and rejection of the leave application by the competent authority. The e-Court Fee System in High Court is web-based secure system of paying court fees to the Government. The System generated e-Court Fee receipt shall replace the stamp paper, which would be secure and bar coded and unique number is auto-generated. 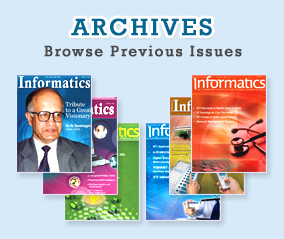 The Web-based Grievance Redressal and Suggestions Mechanism of H.P. Judiciary is a software module having a provision for raising of grievances or giving suggestions in respect of the working of H.P. Judiciary through online software. In case any grievance/suggestion remains unattended for sixty (60) days, then an auto-generated e-mail shall be sent on the e-mail ID of the Registrar General. The person raising the grievance can also check the status of his/her grievance online. Sh. Rajeev Bhardwaj, Registrar General of HP High Court and Sh. Pratap Thakur, CPC has ensured the data entry of all employees into the PMIS (Manav Sampada) software to enable the development of the Mobile App. 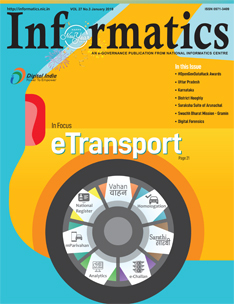 Shri Ajay Singh Chahal, State Informatics Officer, NIC HP, Shri Sanjay Kumar, Principal System Analyst, Sh. Paramjeet Singh, Developer, Shri Ajay Sharma, System Analyst and Sh. Jitender Sharma, S.T.A., NIC at H.P. High Court Unit were present in the inaugural function. The Mobile App has been designed and developed by the Centre of Competency for Mobile App Development, Himachal Pradesh.